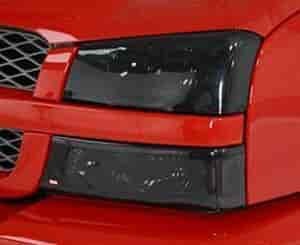 Designed to significantly protect your headlight and taillight lenses from rocks and other roadway debris. Designed to fit the exact contour of your headlights and feature snap-on installation. Available in Smoke or Clear. For show and off-road use only.